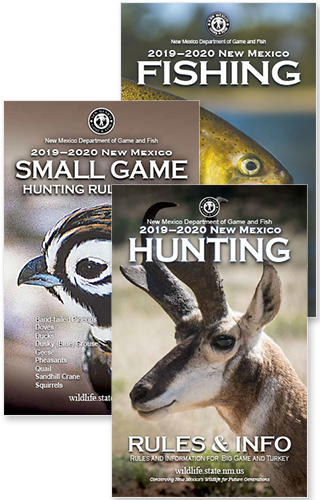 SANTA FE – Each year hunters and anglers contribute more than $579 million dollars to the state’s economy, providing the funding necessary to manage New Mexico’s wildlife for the benefit of our citizens and future generations. 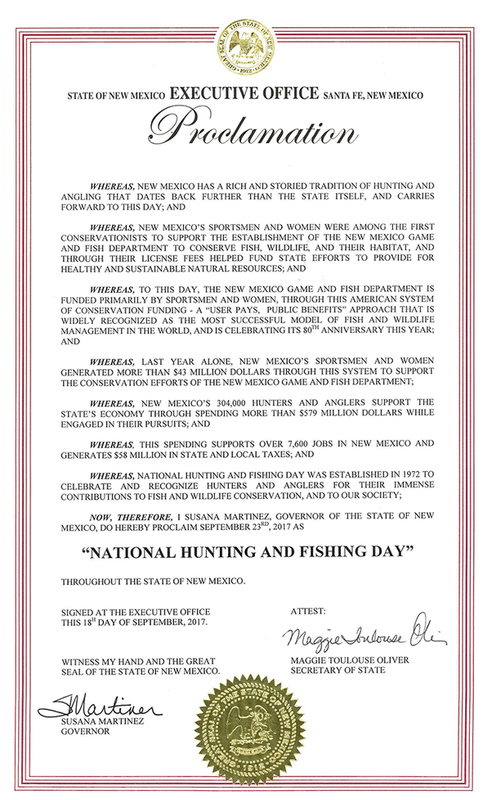 In honor of the sportsmen and women’s contributions to wildlife conservation, Governor Susana Martinez issued a proclamation, declaring Saturday, Sept. 23 National Hunting and Fishing Day (NHFD) in New Mexico. Saturday, the department will celebrate NHFD with a day of free fishing in New Mexico. All anglers, residents and nonresidents, may fish free on public waters statewide. No one needs a license or stamp, although bag limits and all other fishing rules apply. Whether you feel like testing the waters for the first time or you are an old hand at fishing, it’s the perfect time to get out and make a cast or two at lakes and streams across New Mexico. If you’re looking for a fun family event, the Village of Pecos is having its first annual Fishing Expo from 9 a.m. to 3 p.m. at Monastery Lake, just up the canyon from the village. The free event will feature food, prizes for kids and several exhibitors, including the Department of Game and Fish. For more information about places to fish on Saturday, check out this week’s Fishing and Stocking Report, available on the department website, www.wildlife.state.nm.us.